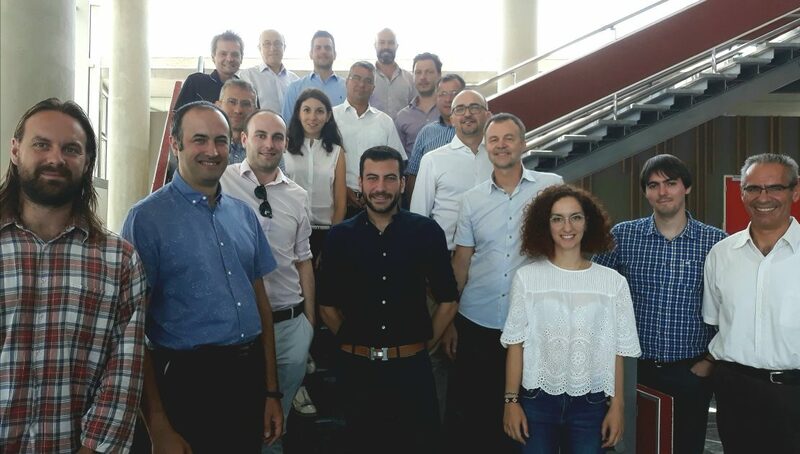 As August came to a close the DELTA project partners gathered in Cyprus for our first plenary meeting. This marked the first occasion since our kick-off meeting in May that the 10 project partners met in person to discuss DELTA’s progress and provide plans for what is to come as the project matures. The venue for our plenary was the bustling city of Nicosia, home to the University of Cyprus (UCY) – one of our project partners. 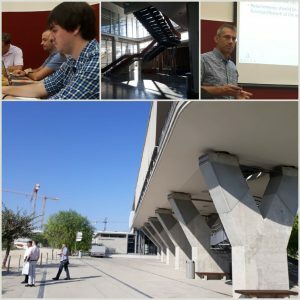 A young university with a growing academic profile, UCY is also home to the FOSS Research Centre for Sustainable Energy who have a key role to play in the upcoming testing of the DELTA platform. The opportunity for the partners to see first-hand the conditions and facilities which will make up the Cyprus element of our pilot sites was an especially rewarding element to the plenary agenda. Our first day begin with a project update from the Project Coordinator and Manager, Dr. Dimitrios Tzovaras and Dimosthenis Ioannidis from CERTH, before focusing on the immediate requirements of our first work packages. The possible use cases and business cases for DELTA were discussed, as well as how DELTA fits in to the current European regulatory framework (keep an eye out for the upcoming blog!). Understanding these elements are central to the performance of DELTA and will allow the technical aspects of the project to be both effective and efficient. Of particular interest to the partners on day one was discussing two of the main innovations for DELTA – the DELTA Virtual Node and the Fog-Enabled Intelligent Device. The DELTA Virtual Node, once designed and tested, will allow for more efficient management of prosumers and offer larger capacities for delivering demand response services to an aggregator. Behind the DELTA Virtual Node will be the Fog-Enabled Intelligent Device, placed on site with each customer to provide energy related data to the virtual node – ensuring the nodes run as efficiently and intelligently as possible. Fresh with new ideas and strategies, it was time to visit the FOSS Research Centre to view their collection of solar panels and technology systems which can monitor and validate solutions for sustainable energy practices. 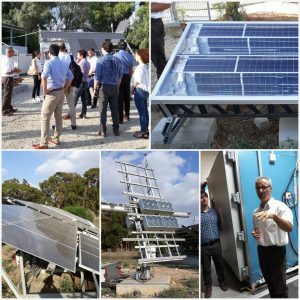 FOSS operates and evaluates a number of solar PV systems which supply the UCY campus with electricity and will soon be developing a project within the United Nations Buffer Zone in Cyprus which will add to their existing numbers of solar panels. Aside from the solar PV technology FOSS also operates a climatic chamber to simulate and forecast weather conditions – the chamber can mimic 20 years of weather in just 1,000 hours. Aligned to the objectives of DELTA is FOSS’s current work on the island of Cyprus in monitoring demand response practices through the installation and analysis of 300 smart meters all over the island. FOSS’s work on this has led to customers savings of over €40 per month. 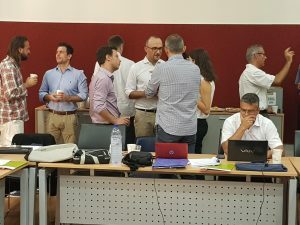 Day two focused on discussing the pilot sites for the DELTA project, with presentations from both KiWi Power and UCY on their respective sites, strategies and plans. This allowed for a lively technical discussion, allowing partners to delve into the most effective ways to develop the software which will operate within the pilot sites. The last item on the agenda was an overview of DELTA’s communication and dissemination strategy, with an exercise designed to identify and improve the innovations of DELTA which will benefit end-users. 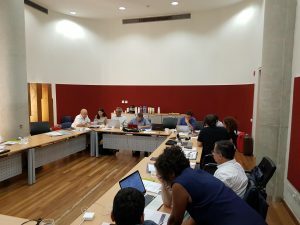 Plans were made for our next plenary meeting which will take place at the end of the year, before the partners departed – with ideas, enthusiasm and plans for the next steps to ensure DELTA will empower small and medium scale prosumers around Europe. Keep on top of DELTA’s progress with daily industry and project updates on our Twitter page and subscribe to our newsletter – our first one will be available soon. You can find more information about the DELTA project here, and an overview of our expert partners here.